A deliciously healthy version of poppy seed dressing without all the added sugar. Easy to create your own variation with fresh seasonal ingredients or what you have on hand! Put all dressing ingredients, except the olive oil, together in a blender or food processor and blend until smooth. With blender running, slowly drizzle in the olive oil. Set aside. 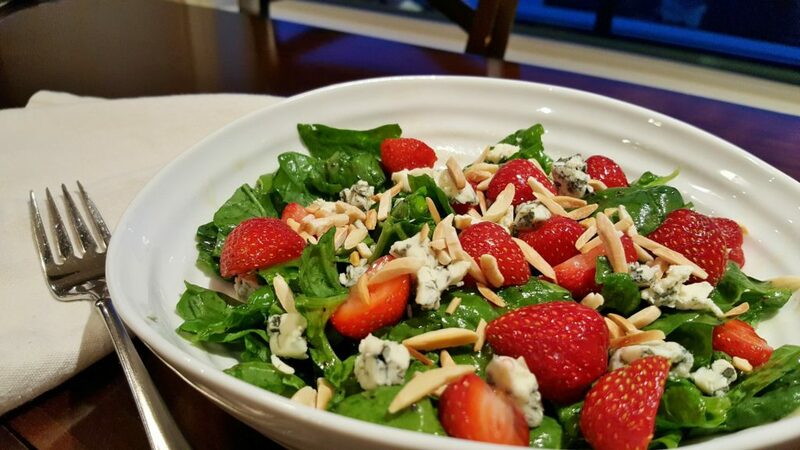 In a large bowl, toss together the salad ingredients, except the almonds. Add the dressing and almonds. Toss to mix and serve immediately.